Mandatory Fields not showing as mandatory? Hi on my form i have a field set to mandatory but its not appearing as mandatory on my site? field in question is "industry sub sector" its below "industry sector" (you must choose a industry sector for sub sector to appear). 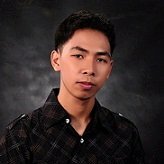 As per checking, I noticed that you have a condition that UNREQUIREs the field. Please delete this condition on all of your Industry Sub Sector so the field will always be required. IF Industry Sub Sector IS HIDDEN Then UNREQUIRE Industry Sub Sector? Unfortunately, the only states available for the Enable/Require condition are Equal To, Not Equal To, Filled and Empty. It is not possible to use the state IS HIDDEN for the condition. A possible workaround would be to add a new field that you can use to confirm if the field is hidden. If the value is yes (the field is hidden), then we can tell the condition to un-require the industry sub-sector. 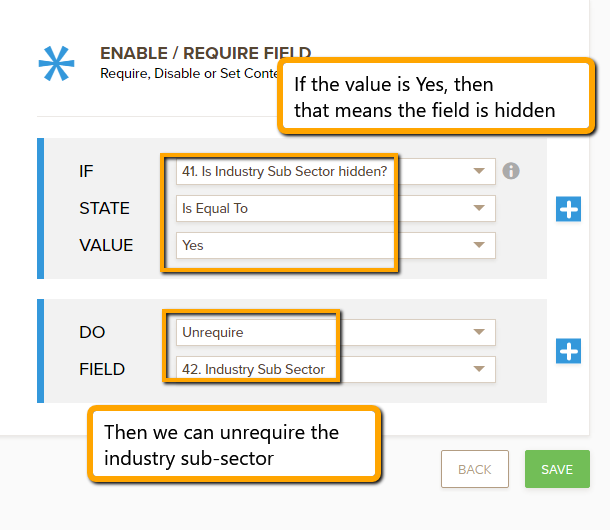 By adding this field, we can add a condition that will Unrequire the industry subsector if the answer is Yes. However, do note that the radio field will need to be manually answered yes to trigger the condition.